As rich and varied as India itself, these accounts bring to the reader the Indian perspective on the British Raj. Included are the memories and experiences of more than fifty Indian men and women who worked under the British, made friends with them, and then fought to throw them out. 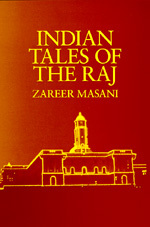 They describe the role of apprentice under the sahibs, the complex racial barriers that divided the rulers from the ruled, the Western education which eventually encouraged rebellion, and the ways in which liberal British political arguments were turned against the Raj by nationalist campaigns to force the British to quit India.